One of the best ways to get to know what Japan has to offer is to explore the best-of-highlights route from Tokyo to Kyoto and Osaka. This itinerary allows you to see most of Japan’s famous landmarks and truly get a taste of the culture. You will travel from the modern wonders of Tokyo, past the natural beauty of the Japanese Alps, all the way to the traditional and ancient Kyoto. The best thing about it? You can do it all in just 10 days! Get ready to explore the greatest sights in the Land of the Rising Sun, with the help of our itinerary and recommendations, with your Japan Rail Pass in just 10 days. Tokyo has two airports, Haneda and Narita. Our three days in Tokyo article provides all the detailed information you will need about where and how to exchange your Japan Rail Pass. To get to Tokyo’s city center from Narita Airport, you will need to take the Narita Express, or the Tokyo Monorail if coming from Haneda Airport. Tokyo is truly an incredible place to discover! It’s a melting pot between cutting edge technology and Japanese traditional culture. From the bustling Shibuya, Harajuku, and Shinjuku districts to the majestic grounds of the Imperial Palace to the magnificent Sensoji Temple, to the buildings that once housed Samurai warriors. Tokyo has it all! 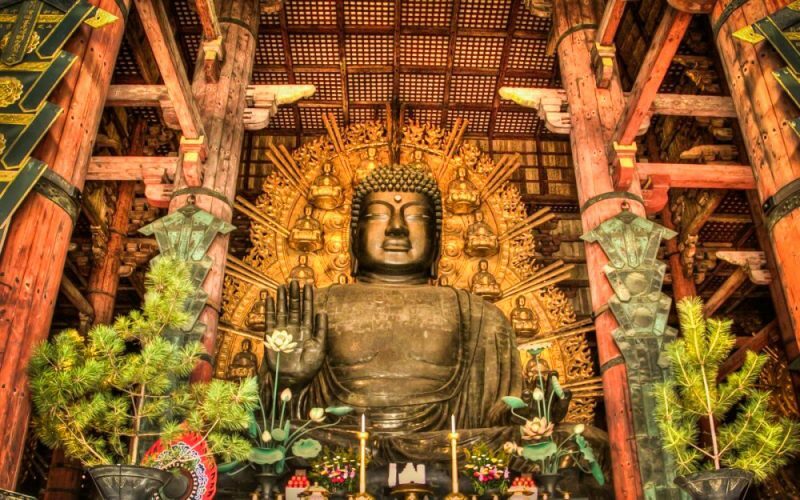 Start off your day by visiting the ancient Buddhist Sensoji Temple, in Asakusa. It is Tokyo’s oldest temple, and also its most significant. Then cross the river over to the tallest structure in Japan, Tokyo Skytree, for one of the best views of all of Tokyo. On a good day, you will even get a glimpse of the majestic Mt Fuji. Then travel to Harajuku where you can check out Meiji-Jingu Shrine, Omotesando, and the Nezu Museum. Harajuku is the most diverse neighborhood in Tokyo, where you get to experience both traditional Japanese culture, and the craziest off the charts fashion district where young people parade in the most fashion-forward outfits you will ever see. To finish off your day head on over to the number one most famous place in all of Tokyo – the Shibuya Crossing. Located in the heart of the city (JR Yamanote line), Shibuya is the perfect place to experience what being a part of Tokyo really means. Shibuya is known for having the best shops, favored by young people, and also has an incredible nightlife. So stay for dinner and have a drink just like a native! Use your second day in Tokyo to explore one of the city’s most popular and modern districts, as well as one of the city’s most iconic landmarks. Getting to this waterfront district built upon a man-made island means crossing the Rainbow Bridge from mainland Toyko, which boasts stunning illumination during the night. Upon arrival, take some snaps with the miniature Statue of Liberty in Shiokaze Park, or have a ride on the Palette Town Ferris Wheel. 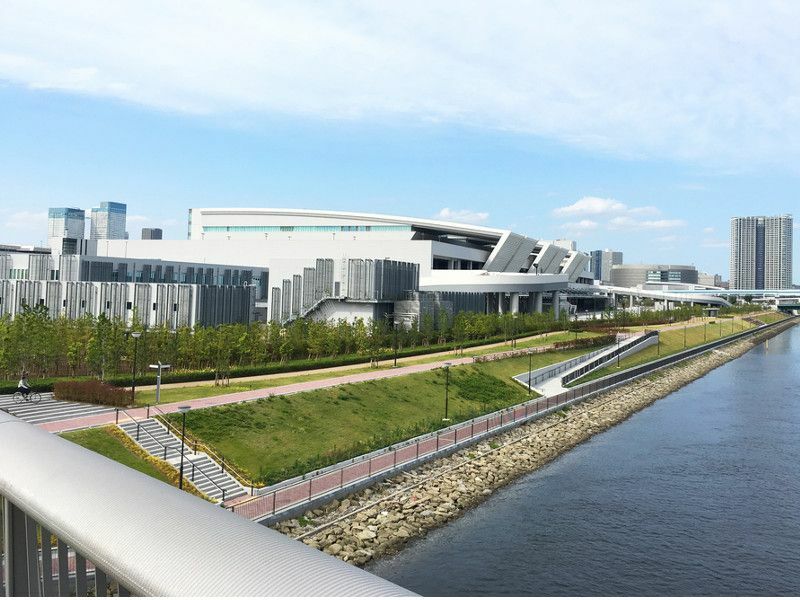 Choose from one of the unique attractions in Odaiba to continue the day, such as the Oedo-Onsen Monogatari hot springs theme park or the interactive exhibits at the Miraikan National Museum of Emerging Science. Visit the observation deck of the Fuji TV Building for fantastic views of Toyko’s skyline. Before leaving Odaiba, visit the relocated inner market and famous tuna auctions of the old Tsukiji Market, now located in the new Toyosu Fish Market. Tsukiji’s outer market and its vast retail opportunities can still be visited in the same location in central Toyko. Just a short subway ride away from Odaiba, the Tokyo Tower is one of the most iconic structures in Tokyo’s skyline. Built in 1958, the Tokyo Tower was the highest in the city upon its completion and measures 13 meters taller than its inspiration, the Eiffel Tower in Paris. 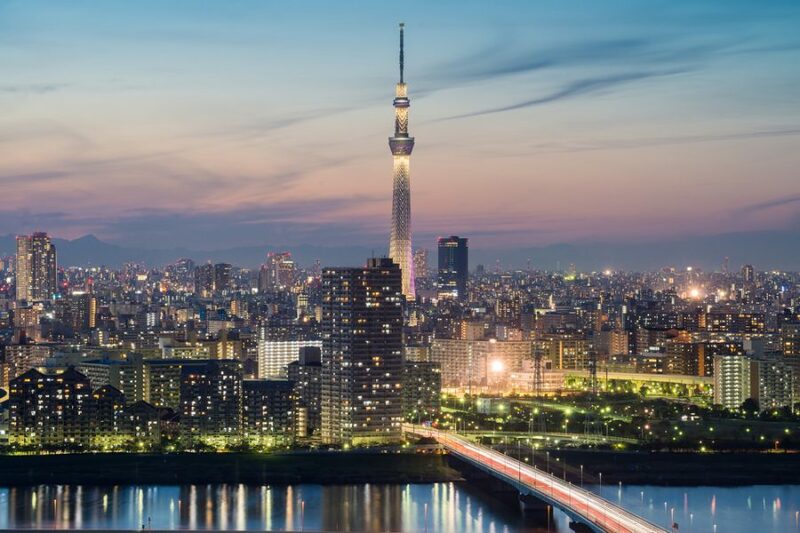 Ride the elevators all the way up to the 250 meter-high top deck with incredible views over Tokyo and the current highest building in the city, the Tokyo Skytree. Fans of the long-running Manga One Piece will also want to check out the themed amusement park found in the adjacent ‘Foot Town’ building. For your third and final day in Tokyo, you can relax a little from the bustle of the city and discover a more laid-back side of the city. Enjoy the relaxed atmosphere of the district of Yanaka, where slow paced and tradition is still the way of life. Make sure to walk down Yanaka Ginza street, it is the best place to buy Japanese souvenirs, and it is perfect for all cat lovers since cats are the trademark of this part of Tokyo. Gyokurin-Ji – one of the hidden treasures of Yanaka district. Visit this ambient temple home to an ancient chinquapin tree. Then, take the subway over to Ueno and check out the park and museums there. This gorgeous area includes the Ueno Park and Zoo, Tokyo University of Arts, National Museum of Nature and Science, National Museum of Western Art, Tokyo Metropolitan Art Museum, Tokyo Bunka Kaikan concert hall and more. Just a short walk away from Tokyo Station you will find the current Imperial Palace located on the former site of Edo Castle. It is the residence of Japan’s Imperial Family, a large park area surrounded by moats and massive stone walls. After such a relaxing day it’s only fair to finish your stay in Roppongi, located in the Minato Ward district. Roppongi is the most popular nightlife area among foreigners, offering a large number of friendly bars, restaurants and night clubs. Thanks to its numerous leisure options, the district has become one of the most (if not the most) diverse in all of Tokyo. A day-trip outside of Tokyo is the ideal way to escape the bustle of the city and explore the picturesque sites close-by. 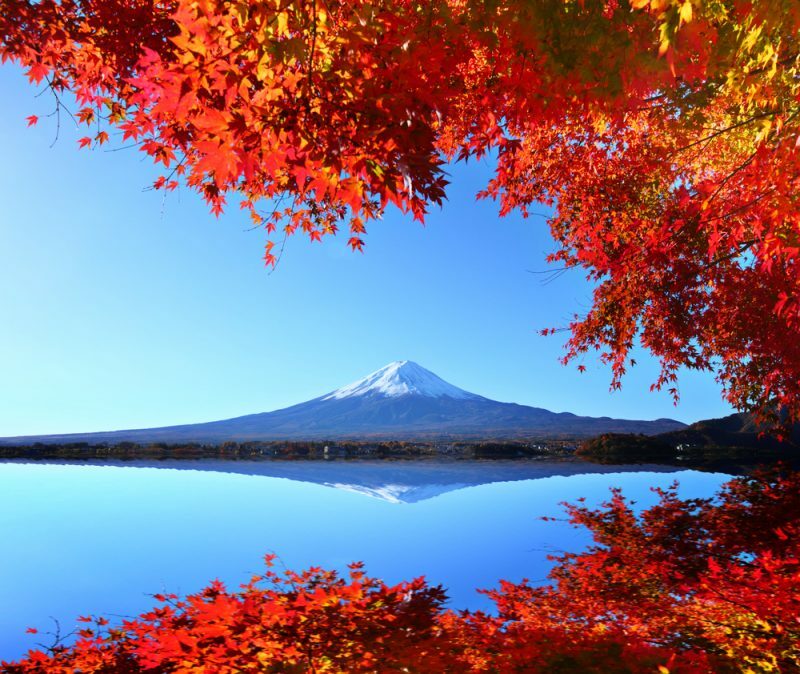 Choose a one-day excursion outside of Tokyo, to either Nikko, Kamakura, or Hakone and the Mount Fuji area. Because each one offers such different options, we have rounded them up in a nifty blog post: Best day trips from Tokyo by train, where you are sure to find the perfect way to spend your day. Takayama is located in central Honshu (Japan’s main island), a short distance west of the main part of the Japanese Alps. Take a shinkansen on the JR Tokaido Line to Nagoya and then switch to a Hida Wide View Express until Takayama. Takayama is a charming city, home to traditional craftsmanship and sake breweries. Explore Takayama’s Old Town, local shops, markets and museums on foot – in particular, the splendid (and free) Takayama Museum of History and Art. Explore the Sanmachi Suji district, the heritage houses, and the Takayama Festival Floats Exhibition Hall and Sakurayama-Hachimangu Shrine. Take an early Wide View Hida Limited Express Train to JR Toyama Station, since there is no direct train line between Takayama and Kanazawa. Arrive at JR Toyama Station, and then make your way to the Hokuriku Shinkansen which will take you all the way to JR Kanazawa Station. Kanazawa packs a lot of incredible sites. Explore the Kenroku-en Garden, then make your way to Kanazawa Castle, and next head on over to Omicho Market for lunch. Before catching your train to Kyoto, explore Higashi Chaya Area, and treat yourself to a cup of green tea from one of the local teahouses. Then head back to the JR Kanazawa Station to catch the Limited Express Thunderbird to Kyoto. Kyoto is a wonderful, magical city brimming with culture and ancestral traditions. Kyoto has many historical sites and attractions. On day 1, we suggest visiting the Arashiyama Area and Kinkaku-Ji (Golden Pavilion). 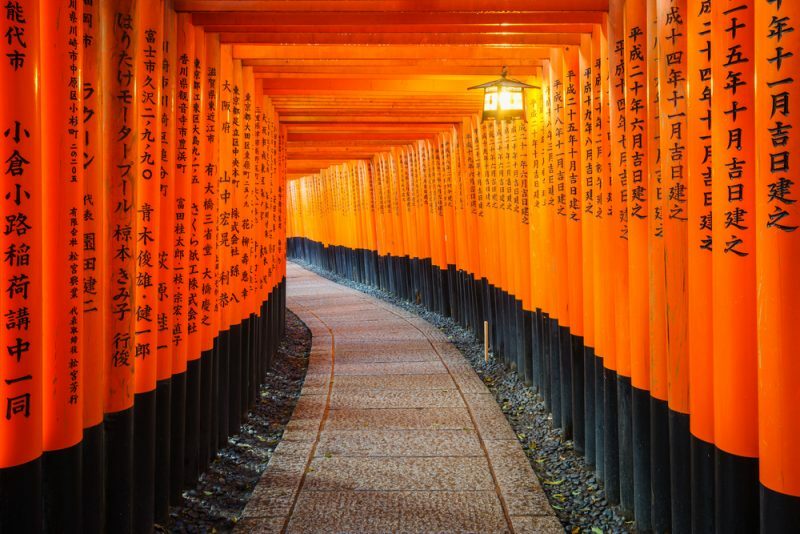 On Day 2 we suggest you head on over to the incredible Kiyomizu-dera and then to Fushimi Inari-taisha. Two days is really a minimum to visit Kyoto and its most famous temples, therefore we have made a travel guide of Things to do in Kyoto. Take a look to discover all there is to see and do. 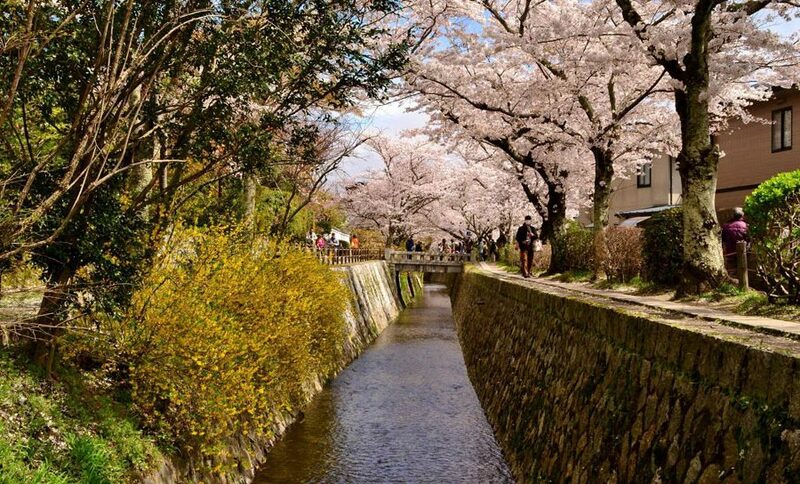 The Philosopher’s walk is a popular destination, especially during hanami. Nara was the capital of Japan from 710 to 794. It has a total of 8 Unesco World Heritage sites collectively known as Historic Monuments of Ancient Nara. So leave your baggage in the coin lockers and brace yourself to explore beautiful Nara before leaving to spend the night in Osaka. Start your day off with a stroll through Nara-koen Park, which contains many other important sights, including Todai-ji Temple, Isui-en Garden, and Kasuga-Taisha Shrine. The biggest trait of Nara-koen Park is its large population of semi-wild deer that roam freely. You can buy a pack of deer crackers (shika sembeisembei) to feed them, but be careful, sometimes they bite! Then stroll through Issui-en Garden until you make your way to the Great Buddha (Daibutsu) at Todai-ji Temple. Walk along the east wall of the Daibutsu-den until you reach Nigatsu-do Hall, one of the most important structures of Todai-ji Temple. Then make your way to Kasuga-Taisha Shrine, Nara’s most celebrated temple. It is famous for its bronze lanterns, which have been donated by worshippers. They are only lit twice a year during two Lantern Festivals, one in early February and one in mid-August. You can also pay a visit to Kofuku-ji, a Buddhist temple that was once one of the powerful Seven Great Temples. Before leaving for Osaka, take a stroll through Nara-machi, Nara’s former merchant district. Check out Sarusawa-no-ike Pond,Koshi-no-Ie and the shops and galleries of the area. Finally, make your way back to JR Nara Station look for the JR Kanjo-Yamatoji Line, which is an express train service. Arrive at JR Osaka Station in Umeda District. You can treat yourself to a night-out on the town. Osaka is known for its fresh foods, nightlife, and shopping. If you are departing from Kansai International Airport or Osaka Airport you can enjoy a fun-filled day exploring Osaka. If departing from Tokyo you can still enjoy half a day walking through its most famous districts: Kita and Minami as well as the Osaka Bay Area, before making your way back to Tokyo to catch your flight. If you have a little time we suggest adding the Osaka Aquarium (Kaiyukan), the Tempozan Marketplace, and the Osaka Castle to your to-do list! Hi, i have plan visiting japan in late January 2019. It will my first time to Japan, is it snow in late January? Can you suggest a place to experience snow? We flying in tokyo and flying back from osaka. About 6-7days in japan. Also want to visit disney sea, which line to go to Disney sea. Hi Hester! Yes, the Japan Rail Pass includes the trip to Tokyo Disneyland, as well as through the whole country. My husband and I are doing Tokyo – Hakone – Osaka – Kyoto, on a 10 day trip. We are flying in and out of Tokyo – Narita. I find this guide very usuful, since it puts together a nice itinerary. However, I find puzzling what JR Pass to get. This website is recommending to do a 10 day trip but the train tickets are only offered for 7 or 14 days. Is there a 10 pass available for purchasing? Hi Ana! 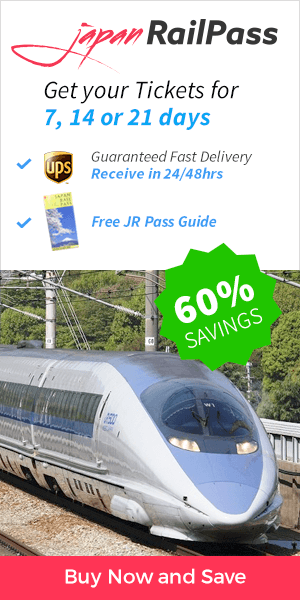 Japan Rail Pass is only available for either 7, 14 and 21 days. Depending on your 10-day itinerary, even a 14-day pass may pay off. We recommend you to draw places you want to visit and check itineraries and prices at Hyperdia before making a decision. Enjoy your stay! all the places that you recommend in your itinerary are served by your jr trains and buses? Yes, all the places are served by JR local and long-distance trains. For detailed timetables and options, please check Hyperdia. Hi Carol! Already described in this article you are commenting 😉 Please make sure to check carefuly, should there be any location you don’t wish to visit you can just skip it. Happy travels! I want to do a 10-12 day trip to Japan. What is the best option for train service. the JR Pas is only 7 /14/21 days or can I extend the 7 day pass? Hi Michael! Once you purchase your JR Voucher, you cannot add extra days. JR Pass cannot be extended by 1,2, or more days. It is available for 7,14, and 21-days, non-extendable and non-transferable. Enjoy your stay! The Japan Rail Pass covers the new Hokkaido Shinkansen route, including the super fast Hayabusa train. The Japan Rail Pass is really worth it if you are taking this route, as a normal ticket would cost 23,120 yen for the round-trip. The Hokkaido Shinkansen links Aomori on Japan’s main island of Honshu with Hakodate on the island of Hokkaido via the Seikan Tunnel. Planning from osaka(1day)to kyoto(5days) to tokyo(4days) one way. What pass do i need to buy? It will depend on how many days you want to use the pass. If you want the Japan Rail Pass to fully cover all your trip you will need the 14-day one. Just remember the Japan Rail Pass becomes more cost saving the more you travel so make sure to check which is the transportation included in it before making your decission. For the exact cost of each train ride please check Hyperdia – the number 1 Japanese online transportation planning tool.